Even though our world continues to creep ever closer to being paper-free—trading our paper tablets for iPads, office supply stores have had to reinvent the way they do business and what their focus is. Staples and OfficeDepotTh are two mega-chain retailers who’ve long been in the fight, regularly providing printing services, as well as day-to-day necessities for the workplace, like pens, calendars, computer accessories, and so much more. And with the all-in-one ecommerce solutions monopolizing the public’s needs (we’re looking at you, Amazon), the desire to shop at these niche market leaders—who typically charge more for the same products—is becoming less and less. 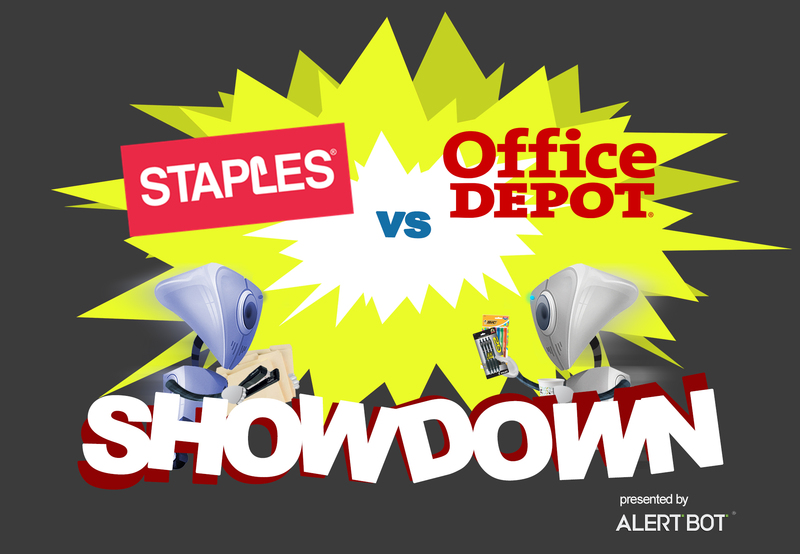 So, for our latest, Showdown, we looked at these two office supply bigwigs and used AlertBot’s external website monitoring system and its TrueBrowser™ technology to monitor both sites for a couple weeks, spanning from August 26 to September 16, 2018. After engaging in this different kind of “Office Olympics,” we were expecting the usual quiet response from two reliable websites (i.e. good performance), but instead found what was equivalent to, well, a fun office chair race gone horribly wrong. For the reliability evaluation of a website, we look for failure events (like when a page doesn’t fully load or it is completely down), and we look for what caused those failures. 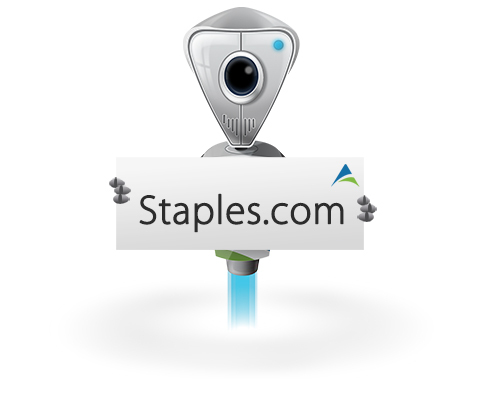 Both Staples and OfficeDepot’s sites seemed to perform satisfactorily, with neither site ever really seeing significant downtime, but one of them really seemed to struggle with its load time. 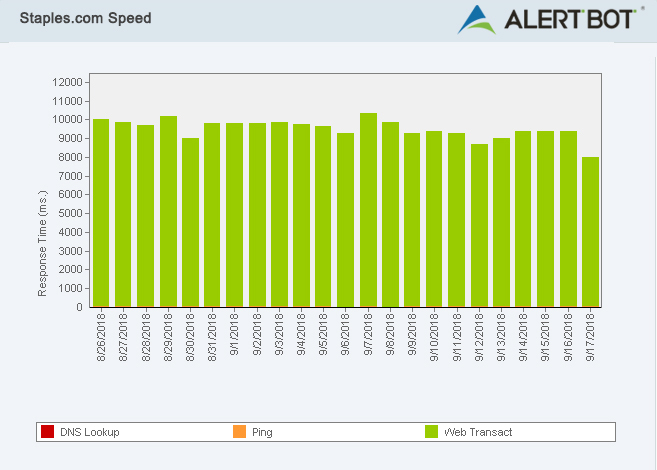 When evaluating a website’s speed, we look at the time it takes the site’s homepage to render and load to the point of being fully interactive by the user. These tests are performed from the perspective of a first-time visitor with no prior cache of the website’s content. 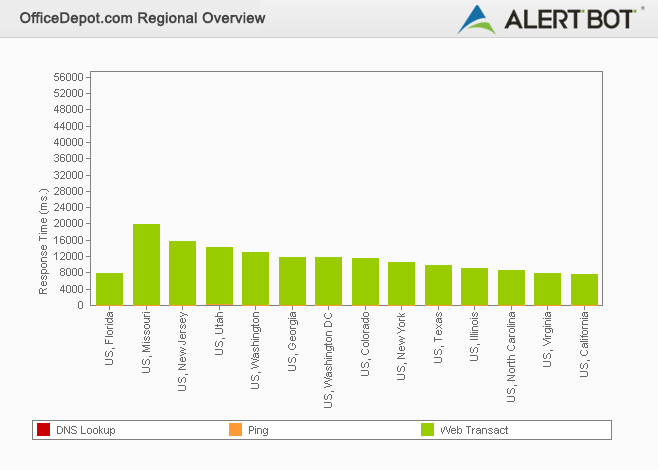 AlertBot runs the tests inside real Firefox web browsers using AlertBot’s TrueBrowser™ monitoring. 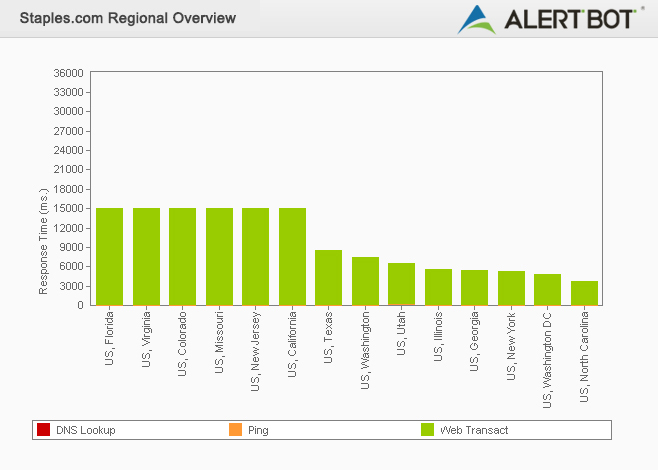 It’s always interesting to see how sites perform differently across the world. If we look exclusively at the United States, it’s intriguing to see which states regularly see faster or slower times than others. 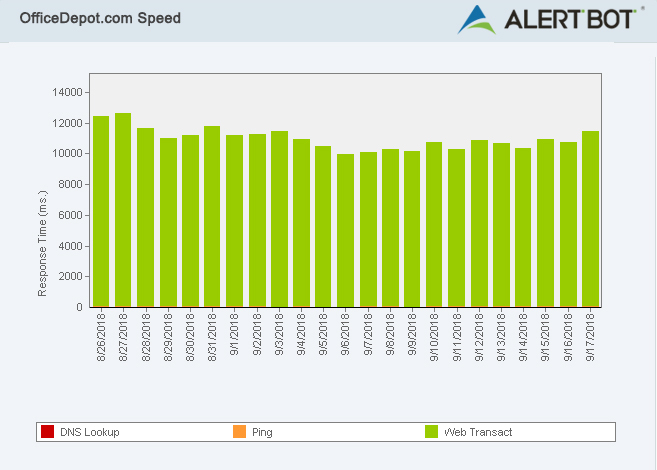 These aren’t the worst website load times we’ve seen, but they also weren’t anything to brag about either. For evaluating a site’s usability, we always select a common task a user might typically try to accomplish when visiting the sites and replicate it. For our previous Showdowns, we tested things like going through the motions of ordering movie tickets from a local theater or simply adding a similar item to both sites’ shopping carts. For this Showdown, we’ll see what the experience is like to use their respective websites to find an office executive chair and add it to our shopping cart. For each of these processes, we started by opening a new tab in Google Chrome and typing in the site’s URL. For OfficeDepot.com, it took about 40 seconds and 6 clicks to get to the checkout process. OfficeDepot had a pop-up as soon as we got to the site which added one click, and then clicking on the cart and going to the checkout seemed to be a clunkier experience. It’s a tough call for usability, but we did find the Staples checkout process to be a tad smoother. © Copyright 2016 InfoGenius, Inc. All rights reserved.